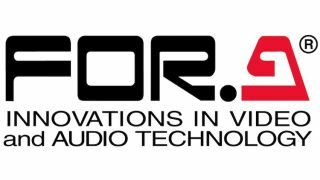 FOR-A is set to highlight its portable video switcher, video server, ClassX character generator, and LTO video archiving recorder solutions at the 22nd annual Government Video Expo. FOR-A will exhibit in Booth 530 at the upcoming show, which takes place November 29-30 at the Walter E. Washington Convention Center in Washington, DC. One FOR-A booth highlight at the show will be the HVS-100 portable video switcher. The switcher features mixed HD/SD input, frame synchronizing, resizing engine, 2.5D wipe effects, clip memory, DVE, Chroma keyer, and DSK. The HVS-100 also features a built-in web server that allows users to change switcher settings from a tablet or PC. The HVS-100 is designed for a wide variety of uses, including content creators for government, media, and entertainment, schools, houses of worship, and corporate presentation venues. FOR-A will also showcase ODYSSEY’s Insight Production Server—a four-channel playout system designed for studio and OB Van environments. Offering a web interface for control from any device, the multichannel video server provides a wide range of supported wrappers and codecs for media contribution and video playout tasks. Insight's event processor allows users to connect multiple devices and interact with video switchers, routing switchers, CG generators, GPIO connected devices, and other studio equipment to orchestrate event triggering for a seamless production. FOR-A will also showcase ClassX’s 3D graphic generator at GV Expo. Earlier this year, FOR-A became the exclusive distributor of the ClassX’s suite of graphics solutions in North, Central, and South America. Customers now have the ability to integrate ClassX real-time broadcast graphics with FOR-A video switchers. ClassX solutions have been used by TV stations, network broadcasters, sports providers, government organizations, universities, news agencies, and betting channels for more than 25 years. The company will also display its LTR-200HS7 LTO-7 multi-codec archiving recorder at the show. Designed for both archiving and exchange of recorded material or programs, highlights of the LTR-200HS7 unit include HD/SD-SDI input/output, broadcast-quality codecs, 6TB of internal storage for backup, and MXF (OP-1a) wrapping and unwrapping.